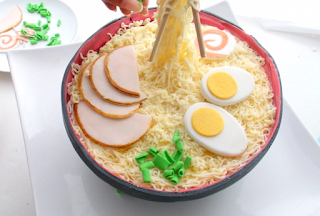 Top Ramen Cake with Floating Chopsticks! When I was little my older sister introduced me to 'Oodles and Noodles' which quickly became our favorite quick lunch time meal. Our mom hated that we loved them so much but she had to admit, the flavor and convenience was slightly addictive. My sister would add a little bit of water and butter to hers (after draining out the liquid) and I'd add garlic powder and parsley to mine after draining the liquid as well. While we don't eat oodles and noodles or Ramen anymore, I thought it'd be fun to go back in time for a fun birthday cake idea. 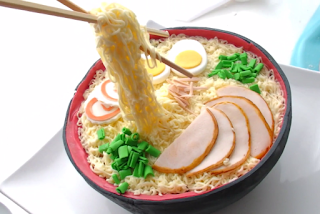 I decided to make her an oodles and noodles/ top ramen birthday cake with floating chopsticks in her favorite flavor (strawberry cream). 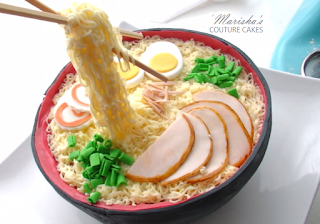 This cake is extravagant, and best part of all, the noodles are the easiest part and made with frosting. We tend to push the fondant aside so whenever possible I'll swap the fondant out for buttercream to avoid the waste. Click above to watch the full tutorial on how to make this cake. If it made you smile, why not subscribe the channel and show some love :D I'd appreciate it greatly. Prepare your cake batter as usual or as instructed in directions. 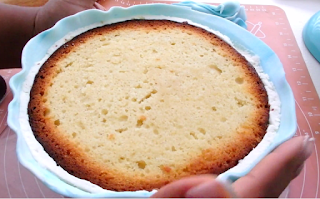 Line a large metal bowl with a square of parchment paper and grease and flour the sides as you would a normal cake pan. 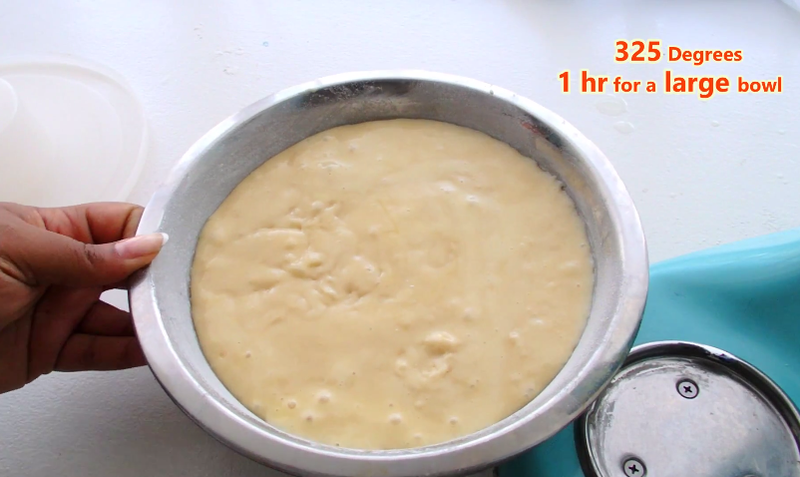 Pour the batter into the prepared bowl and bake at 325 for about an hour. Halfway through you can cover the cake with foil to keep it from browning. Be sure to test the center with a knife to check for doneness. 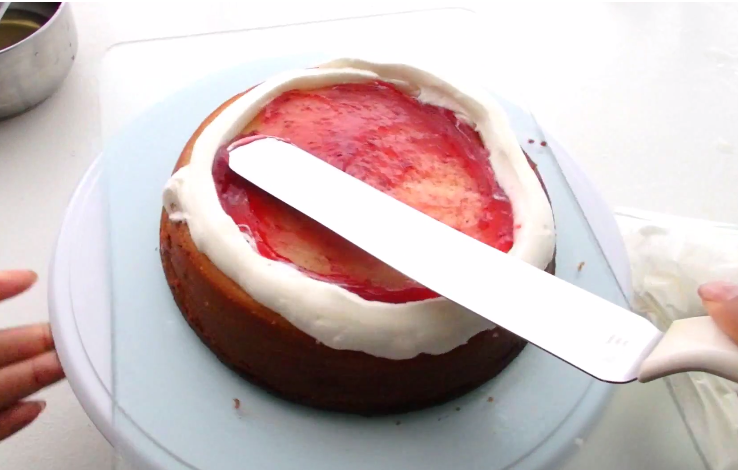 Once the bowl cake has fully cooled, Remove cake from the bowl and level off with a long knife. Flip the cake over and create as many layers as you'd like (or leave it whole). I like to dab each layer with simple syrup before piping a vanilla buttercream border then filling with strawberry filling. 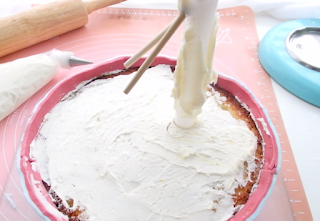 Coat the entire cake with frosting and smooth. 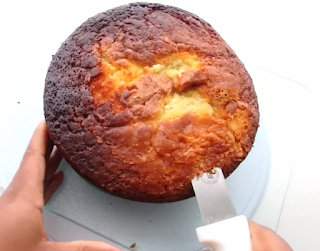 Refrigerate or freeze for at least 30 minutes then use a small slated spatula to smooth the cake even more by dipping it in hot water. Flip the cake right side up. I tried to methods of apply the fondant bowl, I wasn't a fan of the first so skip on to STEP 4 to see how I properly covered the bowl. 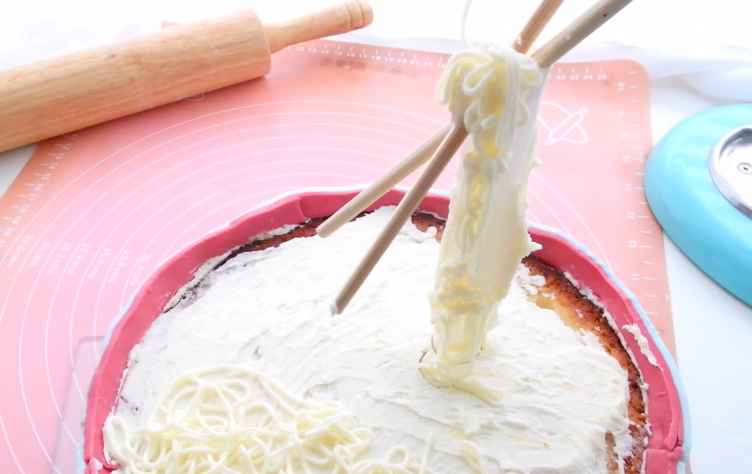 You'll want to skip ahead because we need to cover the cake in fondant before piping the noodles. 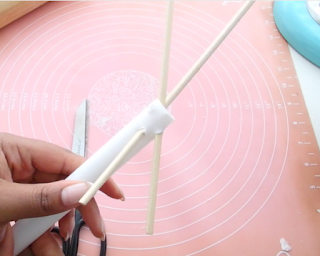 Use a pair of scissors or something similar to carefully cut two small holes towards the top of the dowel. You'll want to make sure to map out the placement of the chopsticks before creating the hole. Once the chopsticks go through and are positioned to your liking, they should be secured. 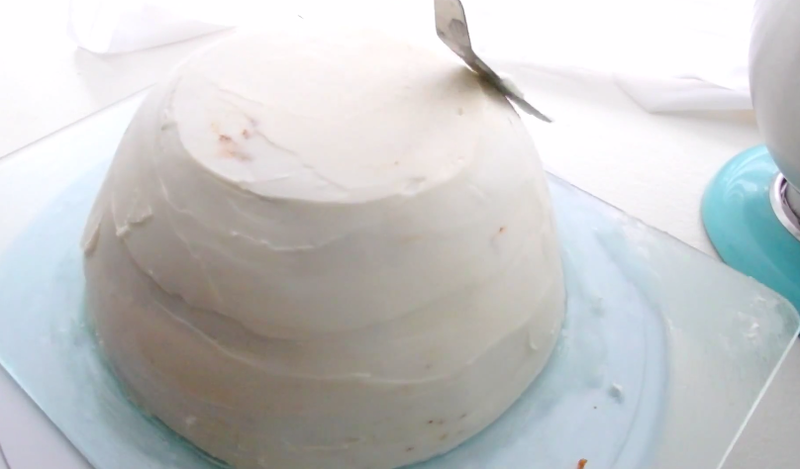 Cover the top of the cake with a thin layer of buttercream then place the dowel off center into the cake. Spread a thin layer of frosting onto the dowel as well. Add a small drop of yellow and brown gel dye to the frosting to achieve a pale yellow color. Place in a piping bag with Wilton tip #2 or a small circle tip and pipe out the noodles by applying a good amount of pressure. Cover the entire top of the cake as well as the dowel. Here I measured the height of the cake (roughly 3 1/2 inches) and rolled out a large sheet of black fondant. I added 1/2 inch to height cutting it to about 14 x 4 inches. 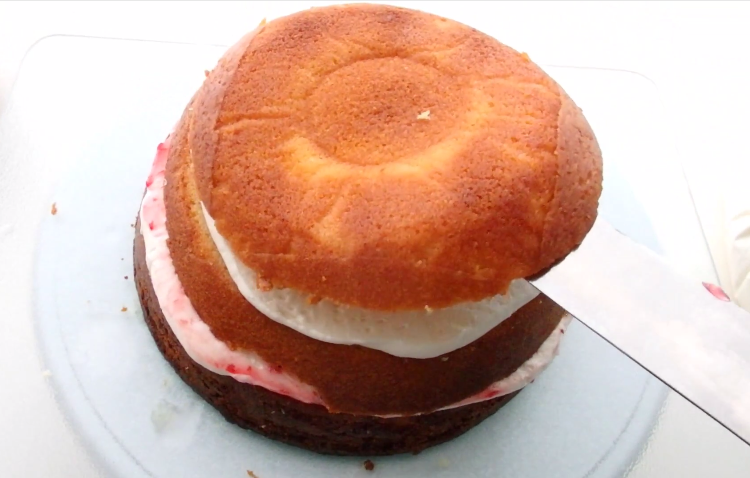 I then to the height plus a 1/2 inch and length of the cake. 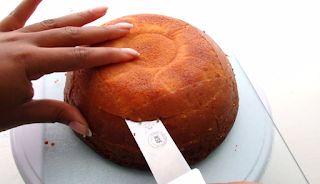 Make sure to use plenty of corn starch to keep the fondant from sticking then roll it up onto a rolling pin. Use this method to easily unravel the fondant around the cake. Roll out thin strand of red fondant and measure to the amount of extra 'lip' you have on the bowl. Mine was about 1/2 inch. 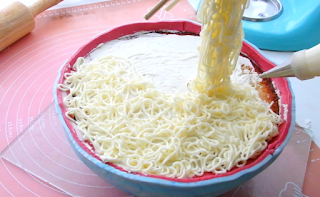 Apply the strand of red fondant to the inside of the bowl. Pipe more noodles onto the bowl to cover up any seams or imperfections. As you can tell from the pictures, this was my second method which I greatly preferred over the first. This is why you see the noodles are already piped. 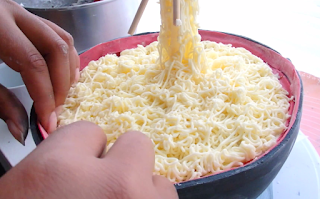 But generally you'd want to do this step before piping the noodles. 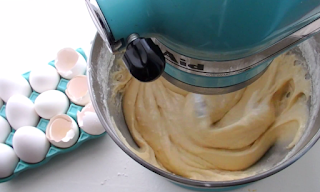 Roll a piece of white fondant into a ball then shape into an egg shape. Flatten by gently rolling out with rolling pin. Roll out a piece of yellow fondant and use the large bottom end of a piping tip to cut out the yolk for the egg. Use a dot of water to attach the yolk to the egg white. Combine white and beige fondant to create a marbled look. Roll out into a circle and cut in half. In a small cup, mix about a tablespoon of vodka or another clear alcohol based liquid (extracts, etc). Add a dot of yellow food dye and a dot of brown. Using a thin clean paint brush, lightly paint the round edge of the chicken with the paint. Roll out white fondant then use a round or oval cookie cutter to cut out the crackers. Roll light pink fondant into a thin strand and swirl onto the cracker from the center outward. Press the pink into the whiten to combine the colors, set aside. Roll out a thin sheet of green fondant. Slice into strips then cut into small squares. Roll each square between your fingers to create the look of a sliced green onion. 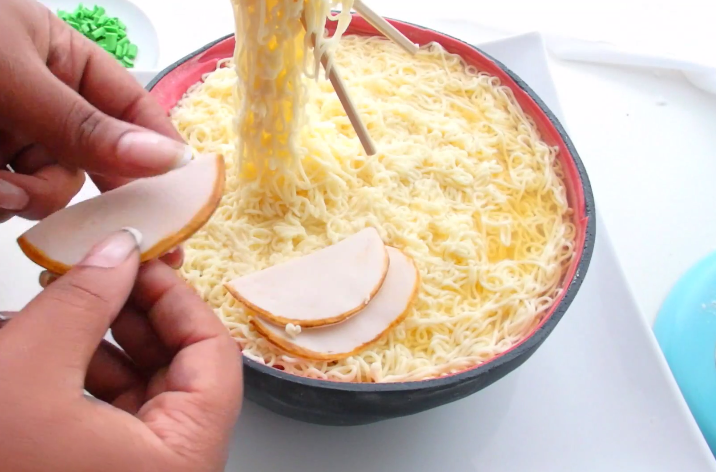 Add the slices of chicken in layers. Create a couple bunched mounds of green onion. Place the eggs side by side (or not, up to you) and arrange the crackers. I also sliced some of the 'chicken' colored fondant to add to the middle of the cake. 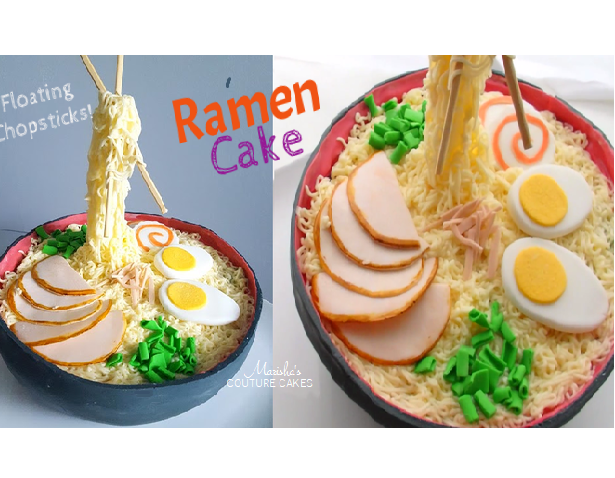 This is seriously an impressive cake, that wasn't that difficult to make. I'd recommend starting the toppers a couple of days in advance just to get that out of the way. Then the cake part won't take long at all. 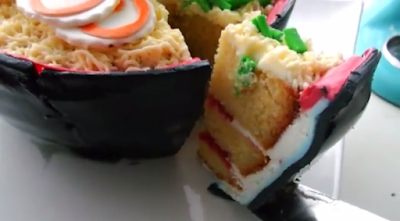 Severed Arm Cake | HAPPY HALLOWEEN!